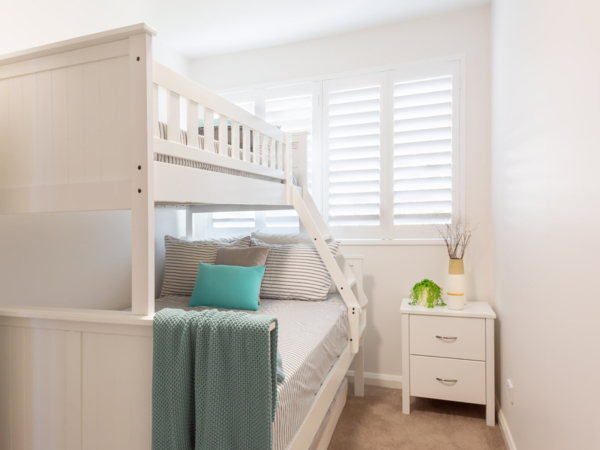 RJP Design and Décor were engaged to assistance with the renovation of the 2bedroom unit on Sunshine Coast’s Bulcock Beach. 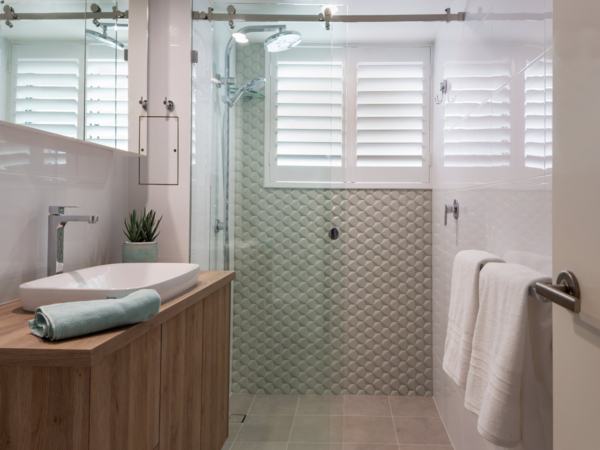 The scope included the redesign of the kitchen to maximise the space available with more preparation space, storage and organisation as well as modernising the bathroom, ensuite and interior spaces. 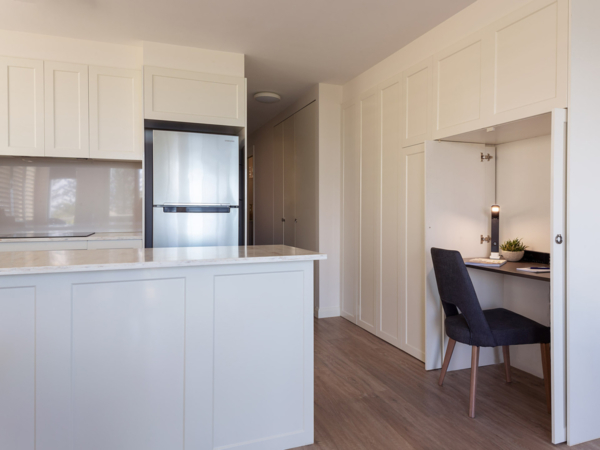 The design concept for the Kitchen has primarily given the owners plenty of functional storage and working space, which was lacking in the original kitchen layout. Now the layout which has expanded the options for storage and multi-activities, but still within the original footprint. It has given the clients a well planned out kitchen to cater for intermit use or for family gatherings holidaying up the coast. It includes all the essential appliances, pantry space, utility storage for everyday cleaning equipment and a hidden study desk with slide-out shelf for printer access. The design has allowed for fixed seating which couples as extra storage in the dining space, a matching entertainment unit with storage for music, books and traditional board games plus a full laundry behind hidden pocket doors. The finishes have been selected carefully for their easy maintenance and durability for a unit that will get much use from its owners, family and extended family. The colour selection has been chosen with a fresh, minimal, coastal feel but themed around a “modern country” style which the clients had requested. RJP Design and Decor have created a fresh, modern home away from home with its custom designed Kitchen, Laundry, Study Nook and Entertainment space that will accommodate the family’s needs for years to come.